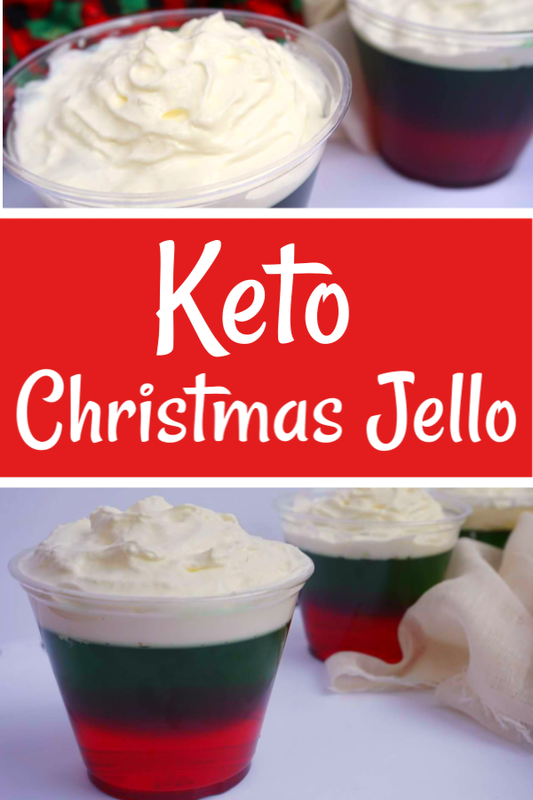 These Keto Christmas Jello cups are an amazingly simple Keto Christmas Dessert to make. It uses minimal and budget friendly ingredients and tastes incredible. This is a festive and inexpensive dessert you can enjoy at home or take to a party. If you make this, you can have a sugar free Christmas treat without the carbs, guilt or weight gain! I am a die hard Christmas fan. This year, I was listening to Christmas music before Thanksgiving-which drives most people crazy, but I was just so filled with holiday cheer and anticipation for the Christmas season, I couldn’t wait! I look forward to baking, gift wrapping, tree decorating, the whole shebang! 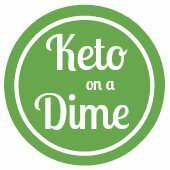 But I know the holiday time can be tough when it comes to sticking with the Keto diet. You have to navigate carb filled work parties, family get togethers, cookies, treats-you name it, it will tempt you! 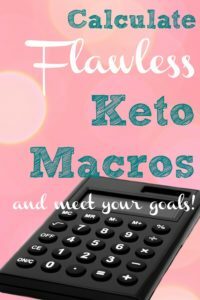 For me, it’s always easier to stay on track with Keto when I have a dessert or treat to look forward to. Either waiting for me at home or to take with me to a gathering. 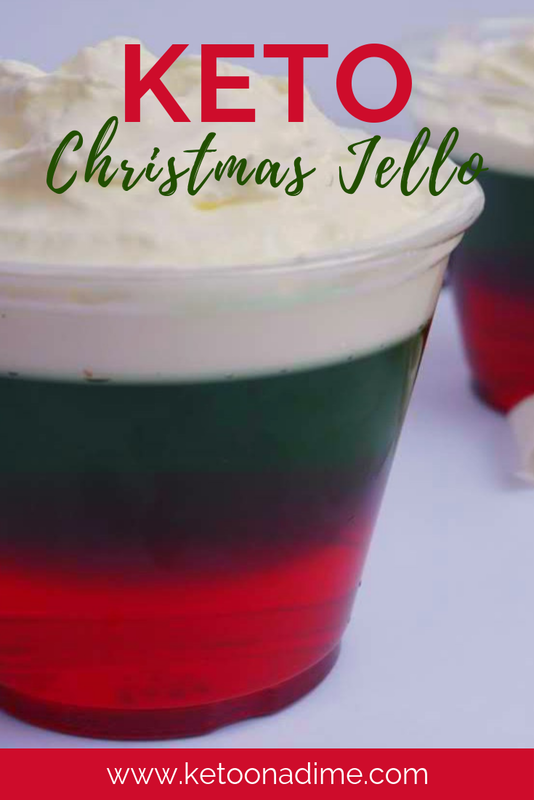 I like to make Keto cookies or Keto Reese’s peanbut butter trees but those can be time consuming and require special ingredients, so I came up with Keto Christmas Jello cups! 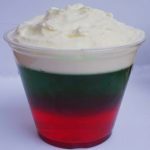 2 boxes of sugar free jello, disposable cups (or glass if you prefer), water, whipped cream and done! This “recipe” is super simple and straightforward. It’s also pretty sweet. One option you have is NOT to sweeten the cream when you whip it. I made these in disposable plastic cups to make clean up easier. But if you hate plastic, or don’t want to have to buy separate cups, please use what you have at home. You can also use small shot glasses if you’re making this for a crowd. The possibilities are endless. 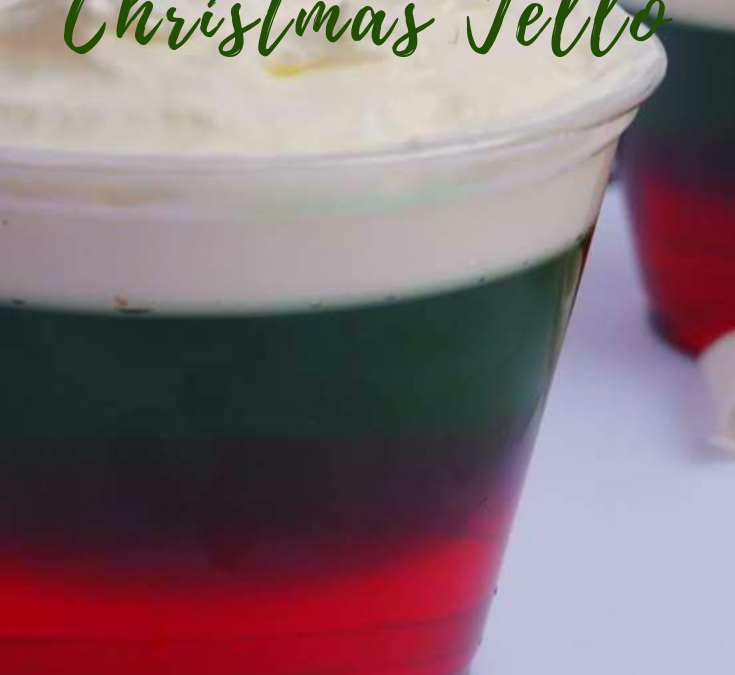 Keto Christmas Jello Cups are incredibly simple to make, budget friendly and are perfect to make for any Christmas dinner, event, party or celebration. Two boxes of sugar free Jello and homemade sweetened whipped cream is all you need. Make this super inexpensive, delicious and creamy dessert today! Serve or refrigerate until you are ready to serve. And ENJOY! Let me know if the comments if you liked the recipe. Happy cooking!